Lenovo has confirmed the availability of the Lenovo Smart Display with Google Assistant in Australia. With a full HD touch screen display, the Lenovo Smart Display provides visuals from services such as YouTube and Netflix. The Smart Display can be used as a single hub to control all smart home devices. Users can simply say “Hey Google” to prompt the voice assistant. The Smart Display is available in Soft Grey or Natural Bamboo colour ways, and can be positioned horizontally or vertically. The display also doubles as a digital picture frame, showcasing images when it is not in use. 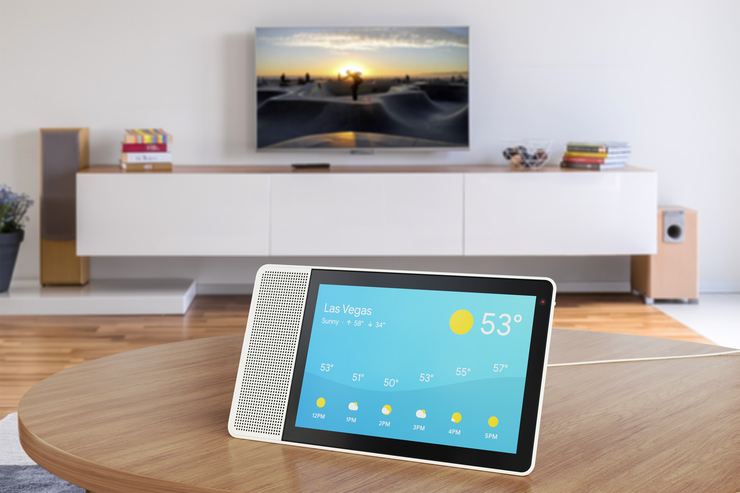 With the purchase of Lenovo Smart Display, customers will receive a Google Home Mini valued at $79. The 10-inch Lenovo Smart Display starts at $399 and the 8-inch model starts at $299. For more information, visit lenovo.com.au.